This award shall be presented to a person/organization that makes an outstanding contribution to Japan in the field of communication (such as public speaking) and leadership. How well a recipient makes an outstanding contribution to Japan in the field of communication (such as public speaking) and leadership. 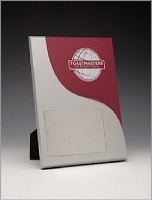 How well they match the mission, vision and/or values of Toastmasters in the promotion and demonstration of good leadership and communication skills. The committee shall complete the nomination process two months before the Distr. The committee shall get acceptance from the nominee. The committee shall report the nomination to the District Exeutive committee and get approval. District Director appoints chairman of the nomination committee. The committee chairman appoints committee members. The roles and responsibilities of the committee are 1) to find candidates who meet the nomination criteria, 2) to communicate with the candidates and ask if the candidates is willing to accept the award, 3) to report nomination to District Governor and District Executive Committee for approval, and 4) to hold the Communication Leadership Award presentation Ceremony at a District Coference.